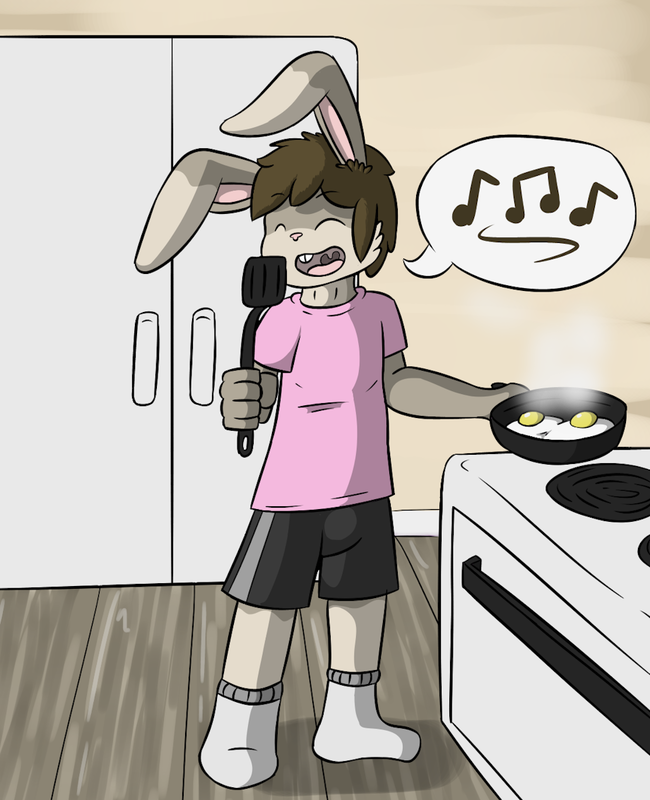 Lucas really enjoys cooking, he also enjoys singing and being a goober when nobody is around to notice. I wonder if he'll share one of those eggs... I'm hungry.